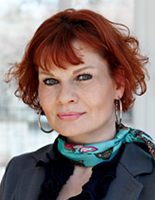 Beate Deppe was part of the Topoi Administration. She was head of Topoi Finance & Personnel and coordinator for Topoi Fellows at the Freie Universität Berlin. She was also in charge of Gender Equality and Child Care at Topoi. She is trained as a lawyer, mediator and coach.